Bulgaria’s Minister of Defense Krasimir Karakachanov, this country’s Minister of Interior Mladen Marinov, heads of Bulgaria’s Border Police and the Bulgarian Land Forces gather today near the Kulata border checkpoint at the Bulgaria-Greece border. The visit is due to the emergency meeting convened yesterday by Bulgaria’s Premier Boyko Borissov in Sofia to discuss measures to deal with possible large-scale refugee wave from Greece to Western Europe through Bulgaria. The quick reactionof the Bulgarian authorities is due to concerns of reactivation of the so-called Balkan Migrant Route to Europe. The abovementioned migrant route is considered closed since 2016 and migration pressure towards Bulgaria’s southern borders has been close to zero since then. However, some events that occurred in Greece and Turkey in the recent weeks raised fears that this situation may change. Unlike the migration crisis that existed several years ago, today the Bulgaria-Greece, rather than the Bulgaria-Turkey border is considered more vulnerable to migration pressure.Bulgaria’s Premier Borissov himself commented that the Bulgaria-Turley border is better protected and the migrant agreements signed with Turkey have yielded the necessary results, but the situation regarding the protection of the Bulgaria-Greece border is more problematic. 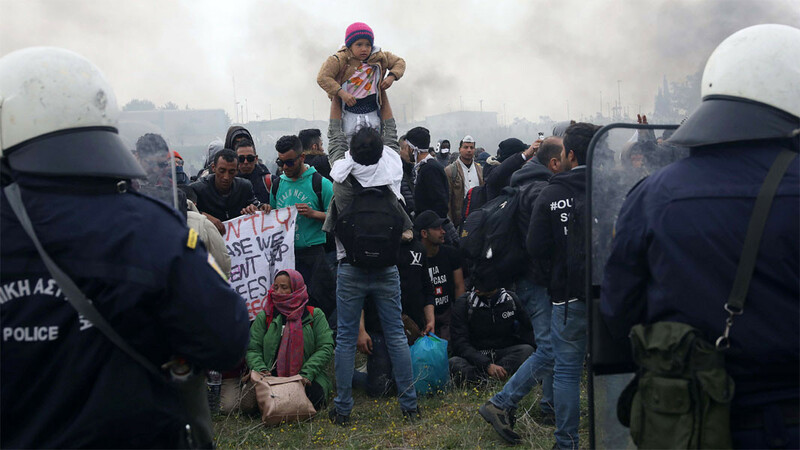 Some migrants in Turkey and Greece are trying to organize mass movement of migrants to Western Europe which is yet another reason for concerns. Moreover, the region near Kulata border crossing is most vulnerable in terms of possible mass penetration of large groups of people in Bulgaria. The Bulgarian Ministry of Interior announced that currently the situation along the Bulgarian borders is normal, but the presence of Border Police officers and the National Gendarmerie must intensify at the Bulgarian southern border. The concerns of the Bulgarian authorities of possible migration flow are quite serious, which is proven by the fact that the Bulgarian armed forces are ready to provide assistance to this country’s Police and Gendarmerie to deal with the situation, if necessary. The Bulgarian army intervenes in extraordinary cases only, but after yesterday’s sitting summoned by Premier Borissov, Bulgaria’s Minister of Defense Krasimir Karakachanov announced that the Bulgarian armed forces are ready to deploy 1,200 people to the border in the course of 24 hours. It also became clear that a total of 3,000 soldiers can be engaged in the protection of the Bulgarian borders, if necessary. Unlike the latest developments in Greece and Turkey, the migrants residing in Bulgaria have not attempted to organize mass movement to Western Europe yet. However, according to Bulgaria’s Deputy Premier and Minister of Defense Krasimir Karakachanov, the authorities cannot rule out completely such a negative scenario and Bulgaria has to follow the example of its southern neighbors and adopt the necessary measures to guarantee the national security. 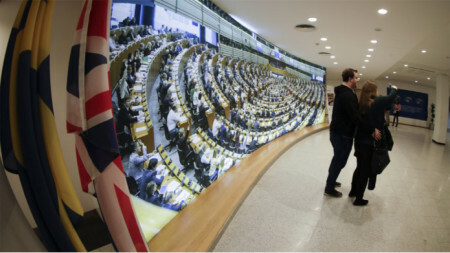 Moreover, the elections for European Parliament are near and someone may try to destabilize Europe through large-scale migrant flow. Bulgaria is ready to accommodate migrants in migrant accommodation centers if this country is subject to large-scale migrant pressure in the future. Currently, two-thirds of the accommodation capacity of the Bulgarian migrant centers is spare. However, the topic regarding possible accommodation of migrants is extremely delicate and may be used to cause negative political adjustments. That is why Minister Karakachanov warned that the migrant topic should not be used for election purposes. However, such temptations can be prevented with politically responsible behavior of the participants, rather than with institutional measures. 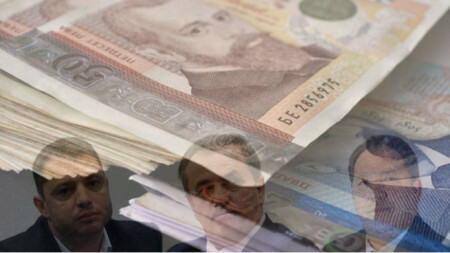 For the third consecutive week the Bulgarian printed media lay the emphasis on the resignations of high-ranking officials in relation with the acquisition of high-end apartments at an allegedly below market value. Dnevnik daily informs that..